This fine-pewter cast sculpture is the perfect way to show off your medieval street-cred. 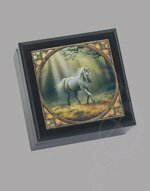 The keychain features a beautiful (and historicaly accurate) casting of a greathelm, with an elegant (and huge) unicorn crest. By coincidence, this was the precise helm and crest worn by Sir Edward Dallingridge, builder of Bodiam Castle and protagonist of our own Roberto Calas's historical fantasy trilogy: The Scourge. 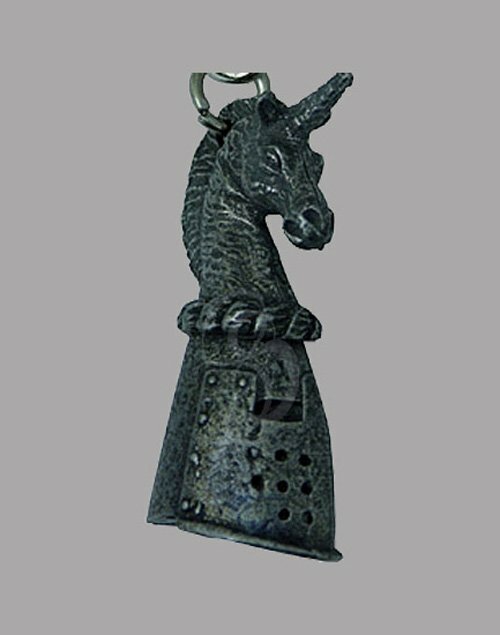 The key ring is a rugged and antiqued for that truly medieval feel, but made from a rugged steel.